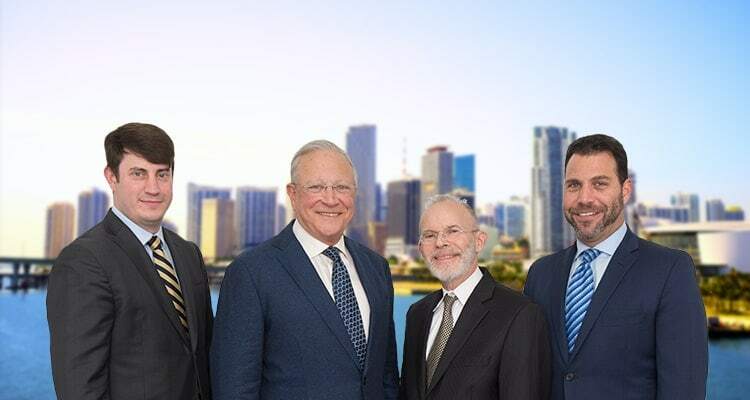 T-Bone Collision | Miami Car Accident Lawyers Gerson & Schwartz, P.A. Contact Florida Auto Crash Attorney Gerson & Schwartz, P.A. Broadside or “T-bone” collisions occur when the side of a vehicle is struck by the front of another auto, car, truck, or vehicle, forming a “T.” These accidents are extremely dangerous and often at high speed when they do occur with little to no warning for the drivers or passengers involved. Generally speaking, when vehicles collide when traveling perpendicularly to one another, one of the drivers may have been negligent, careless, or reckless. As a result, in most T-bone collisions, many accident victims sustained serious or catastrophic injuries and in some cases wrongful death and may be entitled to financial compensation. In order to find out whether you will be able to recover for your losses after you have been involved in a T-bone accident, you should call a personal injury attorney at Gerson & Schwartz today. Who is Liable for Damages After a T-Bone Collision? The party liable for the damages caused T-bone collision is the party whose negligence, reckless or careless act caused the accident. In many serious injury cases, T-bone accidents are caused by the drivers involved, but they can also be caused by vehicle manufacturers, mechanics, property owners, and even state agencies that are responsible for the design or maintenance of the roadway. Importantly, if your case falls into this last category, it is important to keep in mind that claims made against state agencies are required to be filed in a very short period of time. For this reason, it is critical for anyone who believes that their T-bone accident was the result of negligent road maintenance or design to speak to a Miami car accident attorney as soon as possible. For more information, call Gerson & Schwartz today to speak with a T-Bone accident attorney serving Miami. T-bone accidents have the potential to leave victims with extremely serious injuries, including broken bones, soft tissue injuries, burns, traumatic brain injuries (TBIs), spinal cord injuries, and other catastrophic injuries. For this reason, it is extremely important for accident victims to do everything they can in order to ensure that their legal rights are protected. To schedule a free consultation with one of our accident lawyers, call Gerson & Schwartz, P.A., call our office today (877) 475-2905 or contact us online.